There is a wide variety of cycling and walking in the area. 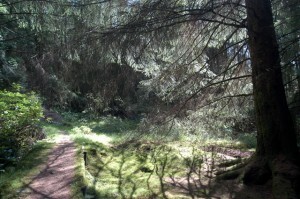 Numerous gardens, forest trails, and sporting activities (e.g. 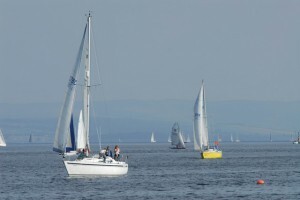 sailing/boat cruises, golf, fishing (river & loch), stalking, pony trekking, quad-biking) are all within easy reach. A Royal Yachting Association approved sailing and windsurfing school is located nearby in Tighnabruaich. The Tourist Information Centre in Dunoon (25th September-31st March, 09.00-17.00 Mo-Th, 10.00-17.00 Fr & 10.00-16.00 Sa-Su; 1st April-24th September, 09.00-17.30 Mo-Fr & 10.00-17.00 Sa&Su) has up-to-date information on all locally available activities. Walking. The area is a hill and trail-walker’s paradise with a fantastic variety of walking to suit all tastes and abilities. Some nearby, recommended walks are Puck’s Glen, Ardnadam Heritage Trail, Glen Finnart, Ardentinny Forest and The Cowal Way. You will find some information on walks in the property and further information is available from the Dunoon Tourist Information Office. Cycling. Whether on roads, the designated cycle routes or the many forestry roads there is cycling to suit all abilities and levels of challenge. There is general information on cycling locally available in the property, but please also check with the Dunoon Tourist Information office or on the Argyll Forest Park or Forestry Commission website for full and up-to-date information. Golf. There are three 9 hole courses (Blairmore and Strone Golf Club’s pretty course, designed by James Braid, has stunning views down the Firth Of Clyde (5.9 miles); Innellan Golf Club (7.4 miles) and Kyles Of Bute Golf Club at Tighnabruaich with beautiful views over the Kyles of Bute (21.2 miles) and one 18 hole course (Cowal Golf Club (2.7 miles). Visitors are welcome at any time when there are no competitions on at all four courses, please check current details with the relevant golf club. Skiing & Snowboarding. When snow conditions are conducive and you fancy a day on the slopes, Nevis Range and Glencoe ski areas near Fort William are easily reached for a day’s skiing or snowboarding. See Ski Scotland for details of the ski areas, snow conditions, equipment hire and passes. Eating Out. There are several nearby pubs serving food, notably The Cot House Hotel at the head of the Holy Loch; The Pier Hotel on the opposite side of the Holy Loch at Kilmun; The Coylet Inn and The Whistlefield Inn, both on Loch Eck. In Dunoon there are many pubs, cafes, hotels and restaurants, easily the best of which is Chatters Restaurant. In the summer months (daytime only) the café at Benmore Gardens serves a range of teas, coffees, home baking and hot meals. Situated in the Holy Loch Marina, there is the Holy Loch Coffee Shop.. Further afield, there are The Colintraive Hotel, Loch Fyne Oyster Bar and the excellent and charming Inver Cottage Restaurant. Food Shopping. In Dunoon there is a full range of traditional independent shops including butchers, bakers, delis, outdoor shops, hardware shops, galleries etc as well as many well known chain names. There is a well stocked health food store, Eco Health & Grain Store, and a good wine merchant, Argyll Vintners, both on Hillfoot Street. On Marine Parade there is a good deli, Delicate Essence, which can also supply ready-cooked gourmet meals. If you wish to be relieved of the necessity to prepare and cook any special meals or dinners, such as birthday or anniversary dinners, Alison Sykora of Real Food Consultancy (07786 936209) can be engaged to cater for any special meals you may wish to have prepared and served. The local game dealer, Winston Churchill (01369 704517), can supply a wide range of high quality venison and game. The two main supermarkets in Dunoon are both open seven days a week, Morrisons, John Street (08.00-20.00 Mo-We & Sa; 08.00-21.00 Th & Fr; 09.00-19.00 Su) and Co-Op, Queen St (08.00-22.00 Mo-Sa; 09.00-19.00 Su). The Cot House filling station at the head of the Holy Loch has a well stocked licensed convenience store, selling papers, basic groceries etc and is open long hours daily. There is also a basic convenience store in Sandbank village. Slightly further afield, the Loch Fyne Oyster Bar Seafood Shop sells a wide range of smoked and fresh seafood and game products together with many gourmet groceries, fine wines and beers. Paddle Steamer Trips. 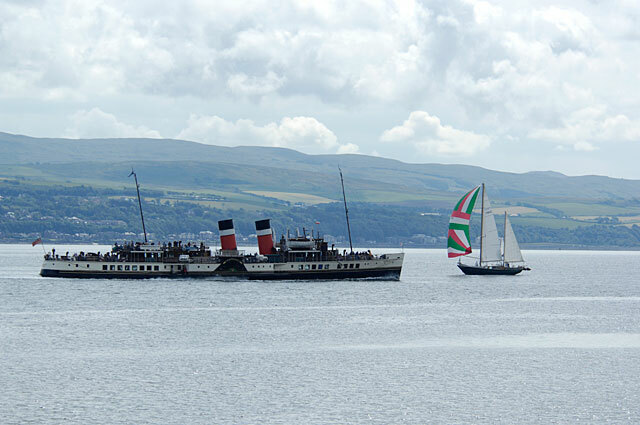 Since the heyday of the paddle steamer in the 1800s, Dunoon’s Victorian Pier has seen the berthing of every famous Clyde steamer and countless other vessels as well. 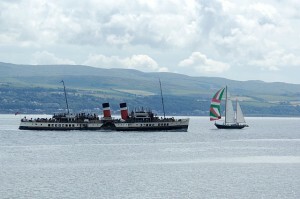 The last seagoing paddle steamer in the world, The PS Waverley, still calls in regularly at Dunoon, Blairmore and Tighnabruaich piers throughout the summer months. Check out the website for details of cruises available.